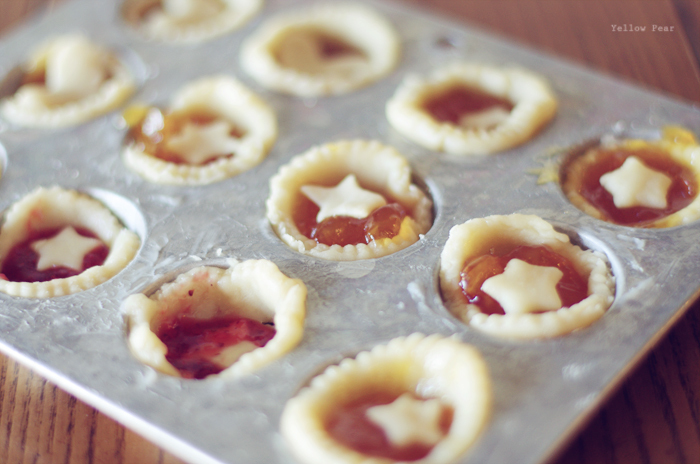 One of the items on our Summer Bucket List, was to make Jam Tarts. 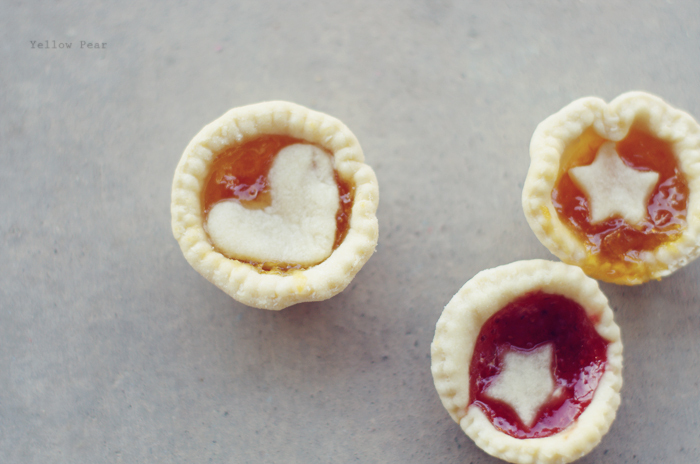 We love making Jam Tarts because they are so easy, we always have the items on hand, and they are super delectable. Plus they just look so sweet. 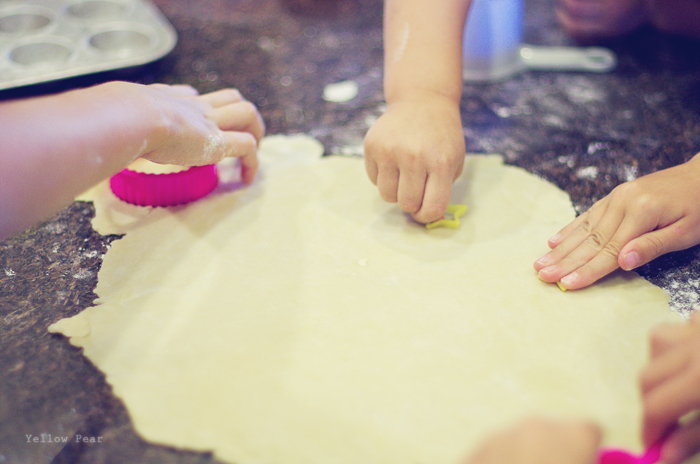 The kids can mix the dough, cut out the shapes and fill them with their favorite jam... pretty much all by themselves. The only semi-hard part is digging through all of the cookie cutters to find shapes that are small enough to fit on mini muffin tins as the tops. The star we use came from a modeling clay kit and the heart came from an old Easy Bake set of Miss B's, along with the circle we use to cut out the tarts. I especially love the wavy edge...it makes for pretty tarts. And we all know tarts must be pretty. 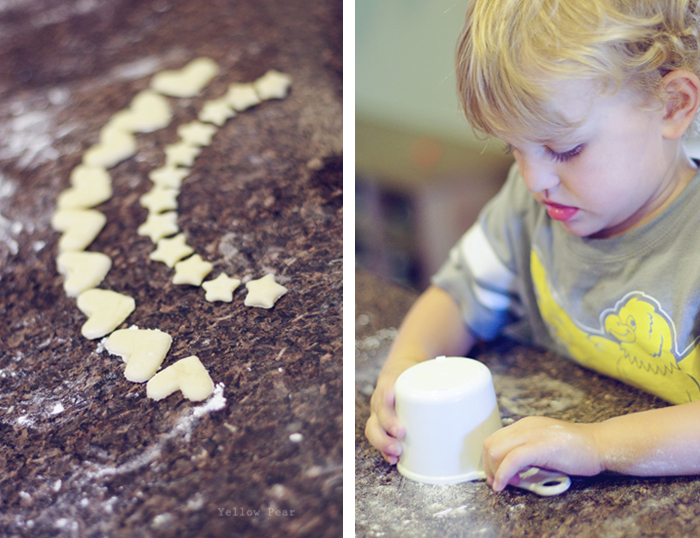 Miss B and I recently saw a very similarly simple recipe for mini quiches which we are quite eager to try. Dennis gathered all of the heart and star tops and made them into a rainbow while he waited for the tarts to be filled. Very whimsical. I liked it...although I can't really say I love the state of the kitchen after all is said and done. 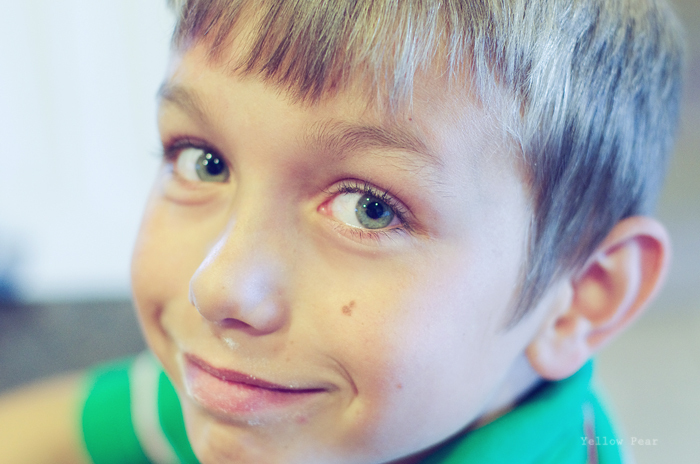 I try really, really hard to relax and remember they are having fun and it's a great learning experience for them too. But. 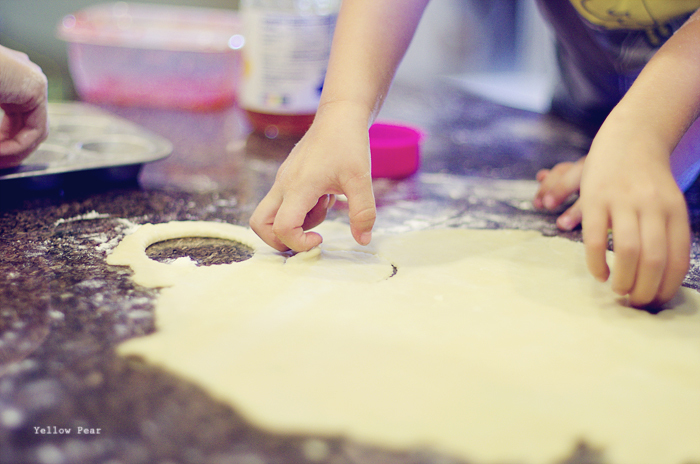 Flour scattered hither and thither and yon makes my blood pressure rise a bit. If I chant, "These are memories...wonderful memories" in my head over and over, it helps a little. 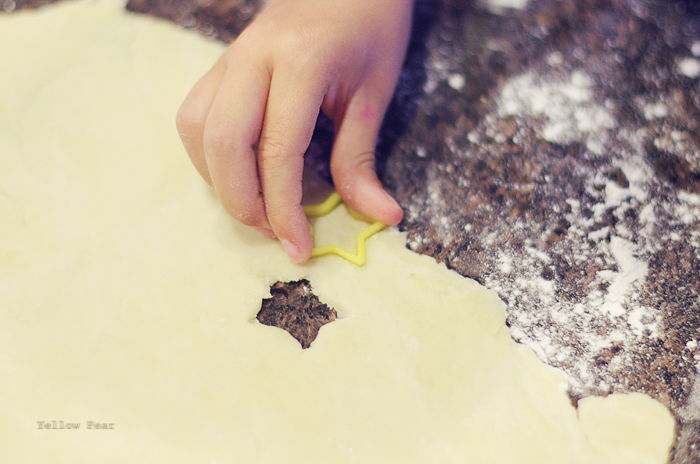 And really, what's a little flour and more dishes? I've posted the recipe before... but it took me forever to find it, so I thought I might as well add it again for your baking convenience. Really they are so easy. Oh, Lou, how I love you! And no one loveth you more than I do. :) You are such a wonderful mother, writer, homemaker, person, friend, wife, etc, etc, etc!! I'm getting your prize basket ready for you today. When are you going to be up this way so that you can collect your winnings and meet my sweet son?